Accelerate Your Recovery from Binge Eating & Bulimia – in Just a Few Minutes a Day. Discover a meditation program designed to speed up your recovery, eliminate cravings and build resilience. 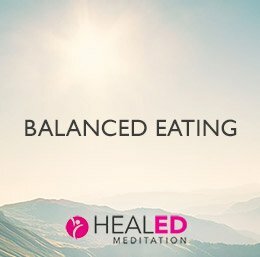 HealED Meditation is a series of guided meditation audios designed to rapidly change the way you think and feel about food. Designed from the ground up specifically for treating bulimia and binge eating, this program covers everything from overriding binge urges to reprogramming your eating habits. The program is based on our tried and tested methodology, which was developed with the help of over 10 years of experience in providing personal recovery coaching, as well as two best-selling books on the subject of eating disorders. HealED Meditation audios have been engineered to combine elements of mindfulness-based cognitive behavioural therapy, acceptance & commitment therapy, and the techniques of visualisation. If you find yourself struggling and in need of a boost, our audios are always there to help you. It’s like having a magic button that provides you with a binge-busting mindset and an increased sense of calm almost instantly. Our meditation recordings are all shorter than 20 minutes. No matter how busy you are, you can quickly master the skills needed for a lifetime of recovery and wellness. 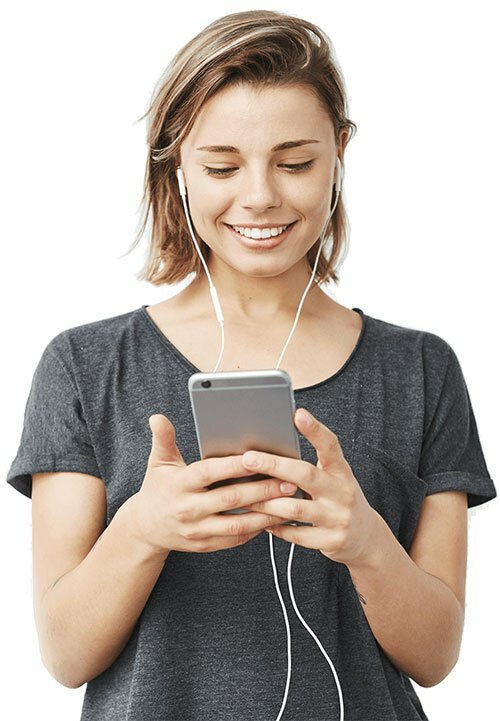 HealED Meditation audios are engineered for seamless playback on your iPod, iPad, or any other multimedia player. We are happy to give you a chance to try our program out for 60 days. If it’s not for you, for whatever reason, simply return your textbook and get a full refund – no questions asked. We pride ourselves in being at the forefront of a revolution in disordered eating recovery. Trust us – you’re definitely in good hands. Have you ever felt trapped in a never-ending cycle of binge eating? Perhaps the reason you’ve felt trapped is because you are. The minds of regular binge eaters tend to get stuck in a set of habitual thoughts. Are such habitual thought patterns familiar to you? Do they influence your behaviour around food? This disordered mindset keeps us trapped in a destructive cycle of emotional eating and food obsession. It makes us feel guilty and ashamed about what we’ve eaten. It makes us feel powerless and weak. We become permanently stressed, emotionally drained, and increasingly unhealthy. The main challenge of recovery lies in replacing your old destructive thought patterns with a new, recovery-focused mindset. This is exactly where HealED Meditation comes in. Over the past ten years of coaching sufferers of binge eating and bulimia to full and lasting recovery, we’ve identified the key traits and attitudes that are essential to this process of change. What truly propels our clients towards health and happiness is learning to see food, emotions and their bodies in a radically different, more positive light. In a nutshell, we use the power of meditation to embed the core principles and traits of recovery deep within your subconscious mind. With the help of this new mental framework, you’ll be able to think like a binge-free person – naturally and quickly. There has recently been an explosion of scientific research, which shows that meditation has an almost laughably long list of health benefits – from lowering your blood pressure to boosting your immune system to essentially rewiring your brain for happiness. All of the above are vitally important for anybody wishing to overcome their habits of binge eating or bulimia. 1. It’s been designed from the ground up for sufferers of binge eating and bulimia. HealED Meditation has been designed specifically for people who are struggling with binge eating or bulimia. It focuses on the core aspects of recovery and covers everything from overriding binge urges and dissolving negative self-criticism, to reprogramming your eating habits and breaking the stress cycle for good. 2. It effortlessly embeds a binge-busting mindset into your subconscious mind. Your subconscious mind is extremely powerful. It is thought to be responsible for up to 90% of the decisions that you make on a daily basis. Because the messages contained within the HealED Meditation audios are directed straight to your subconscious mind, your decision-making naturally shifts to a more recovery-focused place. 3. You can use this program anytime, anywhere. Our cutting-edge platform enables you to access these audio tools wherever you are, whenever you need them, via smartphone, tablet, laptop or any other Internet-connected device. Even if you have a hectic schedule and an extremely busy life, HealED Meditation allows you to implement these recovery-boosting tools into your daily routine without having to sacrifice anything for it. Richard Kerr is a co-founder of HealED, alongside his wife, Ali. He is a co-author of the best-selling books “The Binge Code” and “The Bulimia Help Method”. Richard is a 200-hour Yoga Alliance-qualified yoga instructor and meditation teacher. He has used meditation to overcome his own anxiety issues and, ever since then, his passion for mindfulness has continued to flourish. 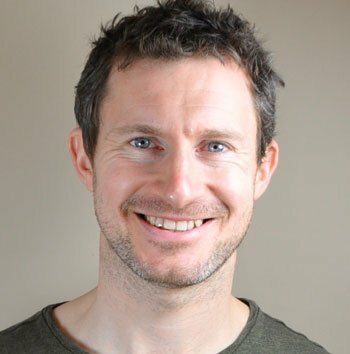 Richard can be found teaching a regular yoga class in West Glasgow, Scotland. 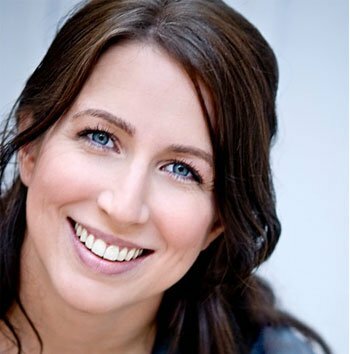 Jennifer Keister is an actress and a voice-over artist with over 12 years of experience in the industry. With a background in theatre, she has gone on to work in commercials, television and film. Her talent has taken her to Los Angeles, New York and Florida, and she has appeared in numerous shows, such as Criminal Minds (2005), Burn Notice (2007), Bloodline (2015), and many more. 1. It speeds up your recovery. Our meditation audios rewire your brain by embedding the core principles of recovery within your subconscious mind. As a result, a binge-free life becomes completely natural and achievable for everyone. 2. It eliminates cravings and breaks the patterns of food addiction. With the help of our program, you can learn how to effectively manage even the most intense binge urges without succumbing to relapse. 3. It enables you to lose weight naturally. By strengthening your body awareness and acquiring a truly healthy relationship with food, you improve your ability to eat in an intuitively balanced way, which helps you shed any excess weight naturally and effortlessly. 4. It allows you to feel in control around food. Our audios can help you develop the necessary skills to feel calm, confident and in control around all types of food – yes, ALL of them, even the really triggering ones that you may have feared or avoided for years up until this point! 5. It helps you let go of harmful emotional patterns that are making you feel tired and powerless. Binge eating is, without a doubt, related to our deepest, most hurtful repressed emotions. You can now learn how to deal with difficult feelings in a brand new, constructive way, and eradicate the need to turn to food for comfort in the process. 6. It teaches you to manage stress without turning to food. As strange as it might sound at first, relaxation is a skill – and, like all skills, it can be acquired and improved. Our meditation audios will help you learn how to induce your body’s natural relaxation response, let go of stress and worry, and bounce back from whatever challenges life throws at you quicker than ever before. 7. It eradicates old thought patterns that are causing you to feel stuck and frustrated. Our meditation audios can teach you to process your thoughts and emotions in a healthy, recovery-focused way. As a result, you’re able to implement a new, recovery-based mindset into your daily life and replace old, destructive thought patterns with a much more balanced approach. 8. It helps you form a renewed, loving relationship with your body. Increased self-esteem and improved body image are absolutely crucial to a successful recovery. Instead of fighting against your body, HealED Meditation enables you to work with it. 9. It erases the habit of harsh self-criticism. It’s time for a little self-love! HealED Meditation will help you acknowledge the numerous positive qualities that you undoubtedly possess, and give yourself some much-deserved credit for them. 10. You feel more grounded and in touch with the real you. Meditation is an incredible tool when it comes to you living your best possible life. With the help of our recordings, you’ll gain a whole new perspective on the world and your own place in it. It’s all about becoming friends with your true, authentic self. 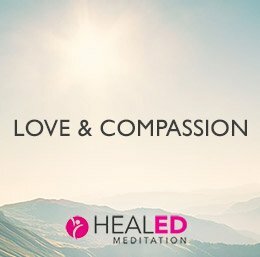 HealED Meditation is a collection of eight meditation audios, which have been specifically engineered to address various aspects of recovery. By listening to just one audio a day, you quickly install a new recovery blueprint deep within your subconscious mind. In order to overcome binge eating, it’s essential to first of all develop a balanced relationship with food. This audio will help you feel more calm, comfortable and in control around triggering food-related situations. It will enable you to use your intuition to guide yourself towards a healthy, natural weight without dieting, bingeing, or other obsessive behaviours. Uncomfortable emotions are a huge binge trigger. This audio will help you experience the full spectrum of your emotions without the accompanying anxiety or fear, instead of using food to block out your feelings. By allowing yourself to flow along with a whole range of emotions, however comfortable or unsettling, you will dissolve negative feelings and improve your sense of well-being. Self-criticism and self-hatred often go hand in hand with binge eating. This audio will help you get rid of the habit of harsh self-criticism and will gently nurture the feelings of self-respect and appreciation of your countless good qualities. By learning to be more kind towards yourself and your body, you will improve your confidence, boost your self-esteem and feel even more motivated to become the best version of you. This recording is focused on counterbalancing the stresses of modern life and teaching you skills that will enable you to induce your body’s natural relaxation response. Over time, you will become more and more skilled at relaxation – this will break the cycle of chronic stress and help you attain a sense of peaceful equilibrium. Long-term recovery from bingeing or bulimia is all about achieving a sense of balance with your body, learning to listen to what it’s telling you, and being able to respond to its requests in a nurturing way. 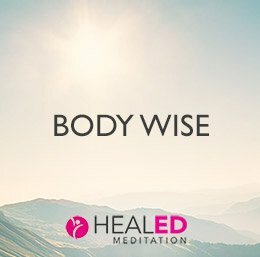 This body awareness meditation allows you to explore the world of your bodily sensations and, as a result, brings you and your physical being that much closer. Let this audio tool be your best friend in times of crisis! When intense binge urges strike, when you feel unable to talk yourself out of a binge, when obsessive thoughts about food become too overwhelming, you can turn to this track in order to overcome those urges more effectively and without turning to food for false comfort. Some foods have more control over us than others – and the foods that we tend to binge on can certainly make our path towards recovery more problematic. Whether it’s chocolate, candy, pizza, fast food, ice cream, peanut butter or any other product that makes you lose control, this audio will help you normalise your relationship with those trigger foods that are unique to you. Have you noticed that you tend to lose your motivation to recover after a few days of doing great? This audio has been designed to help you start your day off on the right foot. It will help you feel empowered, excited and inspired to conquer the challenges ahead, as well as ensure that you stay focused and motivated for weeks, months and even years on end. Enjoy true peace of mind with HealED’s triple satisfaction guarantee! Everything you see and hear, from the moment you log in to your member’s area, to the day when you listen to your last audio, has been designed with the greatest care and your complete satisfaction in mind. Within a few short weeks of following this program, you will notice a significant reduction in your binge urges and an increased sense of overall well-being. We are confident that it will only get better and better in the coming weeks and months. Getting rid of the habit of binge eating will have a positive influence on all aspects of your life. This program can certainly have a much, much bigger impact on your well-being than you have ever thought possible. 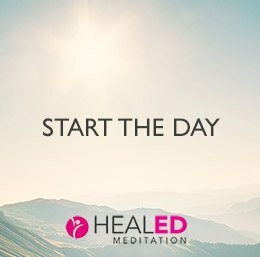 Try HealED Meditation out for full 60 days first and take all the time you need to determine if it’s truly right for you. If, for whatever reason, our program does not live up to your expectations, all you have to do is drop an e-mail to our team and we will refund your investment 100% during the 60 days following your date of purchase. It really is that simple! Can I access the program on my smartphone or tablet? Yes, absolutely. All of our material is placed on a state-of-the-art learning platform, which is compatible with almost every mobile device out there. This means that you can access the training wherever you are, whenever you need it! Can I get a refund if it’s not for me? Yes. We’re 100% confident that you’ll get a surprising amount of value from this program. That’s why we offer a full 60-day money-back guarantee. Even though we’re fully committed to delivering the results that you’re looking for, we won’t ask any questions if you decide that it’s simply not for you. Do I have to do this every day? What if I can’t find the time? No, you don’t have to listen to our meditation audios daily – however, as a rule of thumb, the more frequently you listen to them, the more they will impact your entire life. Our audios are all under 20 minutes — they have been designed to ensure that you’re able to incorporate them into your daily routine with incredible ease. Regular meditation will also make you feel more energised, motivated and rested, so you might find that it adds time to your day, instead of taking it away from you! Will this program really speed up my recovery process? Yes. By using these audio tools, you’ll seamlessly attain a solid recovery mindset. Our clients find that listening to our recordings teaches them to process their thoughts and emotions in a brand new way at a rate which is truly amazing, considering how many years some of them had spent trapped in their eating disorders. Nevertheless, it’s important to understand that this process does take time. Even with all of the countless benefits that this program will bring into your life, it’s still not a quick fix. When it comes to binge eating, quick fixes simply do not exist. This program is not intended to be a substitute for informed medical advice. You should not use this information to diagnose or treat a health problem or disease without first consulting a qualified healthcare provider. Paying a visit to a healthcare professional is always the smartest way to address your health concerns. We encourage you to share any questions or concerns regarding your condition with your healthcare provider.